Many students ask why they need to use hooks for essays at all. At the end of the day, the teacher will read the written work anyway. The most straightforward answer to this question is that the hooks will give you bonus points. The more in-depth answer is that these will help you to develop your writing skills and creativity greatly. 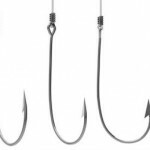 Get some practical advice on how to come up and use good hooks. The main job of these essay components is to grab the attention of the reader and to make him interested in reading the rest of the work. That is why the best place for the hook is the first sentence of the opening paragraph. You can use additional ones in the rest of the work, if it is really long, but generally this is not needed, especially when it comes to pieces written by students. At the same time, the hook sets the tone of the work as well. Basically, it gives the reader a general idea of what to expect next. That is why it has to be selected with great care. If you will write a piece with lots of facts in it, you can start the opening paragraph with an interesting and little-known fact. If you will analyze a literary work such as a play in the drama genre, you may want to start by asking a provocative question related to the main character or the story line. It is a huge mistake to write something catchy which does not link to the rest of the content. Most students make it when they use a quote from a famous book or by a famous person. It is definitely a good idea to come up with inspirational hooks for essays about success, for instance, but they have to relate to what you will say next. That is why it is best to postpone the hook writing process until after you have created a detailed plan of what you will write about. Ideally, you will have a ready thesis statement and come up with a hook which links directly to it. As long as the hooking sentences are logically connected to the rest of the work, you will not feel compelled to build up on them or to add explanations. The text after them should flow naturally. The whole paragraph must make perfect sense. You should not feel upset if you do not come up with the perfect hooks for essays right away. Keep practicing and you will get top results.